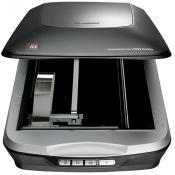 One of the biggest advantages of this model is that it allows you to scan 1000 documents on a single charge. And when the scanning is done, you can save your projects on Dropbox, Evernote, OneNote, iCloud Drive, etc. The housing might seem easily soiled. 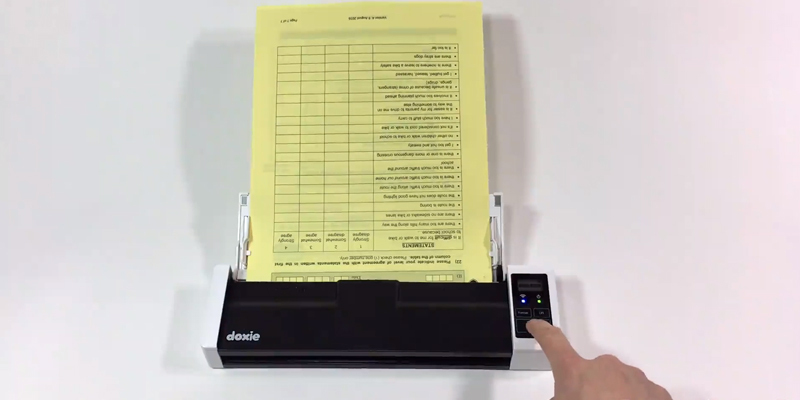 The Doxie Q is a portable scanner that doesn't require a PC connection. 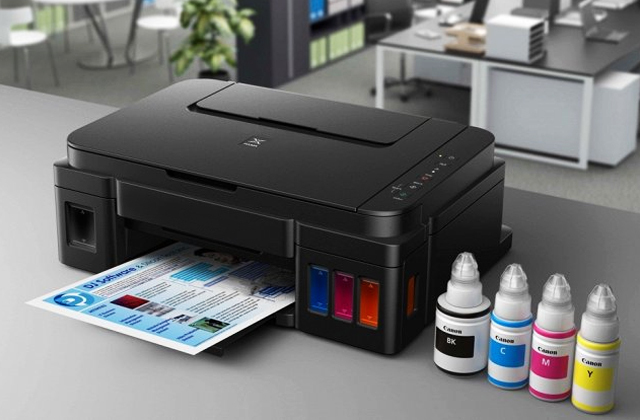 It allows you to scan any text or image fairly quickly with a scanning speed of 1 page per 7.5 seconds. This model also stands out with its fantastic colour rendering. 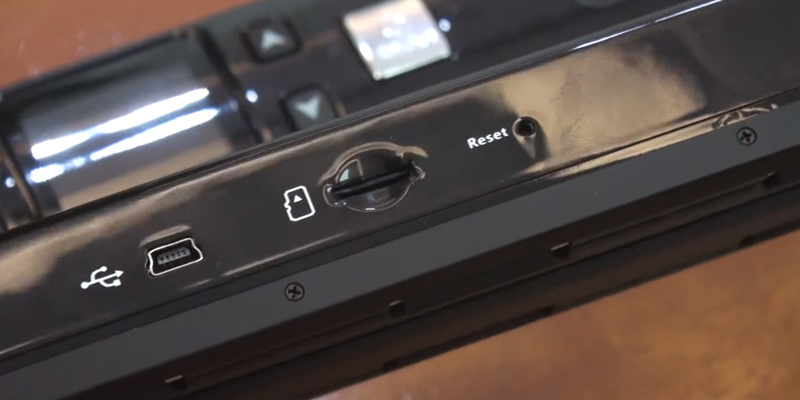 The scanner's peculiar design allows setting the sheet ejection from the front. Wi-Fi support makes it possible to scan wirelessly to your PC, laptop, and all sorts of mobile devices. The manufacturer could implement a more powerful battery. 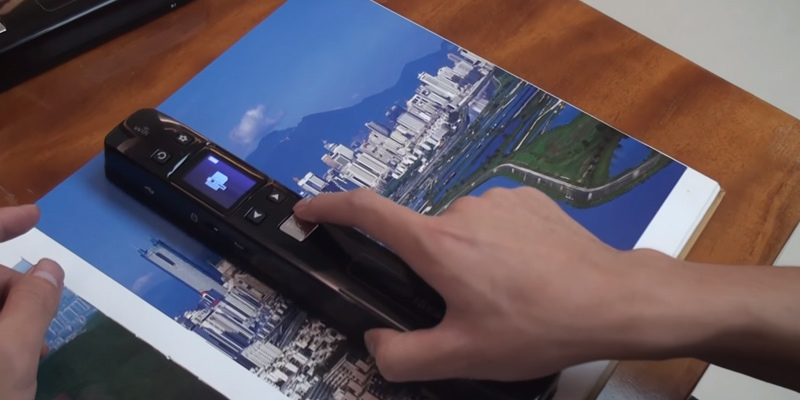 Fujitsu created a nearly perfect portable scanner that combines a variety of cutting-edge image processing technologies and highly convenient sync possibilities. Without a doubt, this is the best pick for business. With this model, you can choose the resolution of your project (300 dpi, 600 dpi, or 900 dpi). It is always better to save a document in maximal resolution if you are going to edit it afterward. The instructions seem to be written in Pidgin English. This portable scanner by Veama allows you to scan documents, circuitries, photos, diagrams, and many more. This device is a gem for any student since you can use it to scan on-the-go and always have all the documents at hand. Thanks to a Micro SD Card with 16Gb capacity that comes in the box, you can store much more documents on your scanner. And with high resolution, you will always get highly detailed scans. The first connection attempt through Wi-Fi might be a bit tricky. The scanner by Flagpower is a pretty helpful device for every user who has to scan a lot of documents every day. It saves scans both on personal computers and smartphones and lets you check the scan on a colour LCD HD display before you save it. 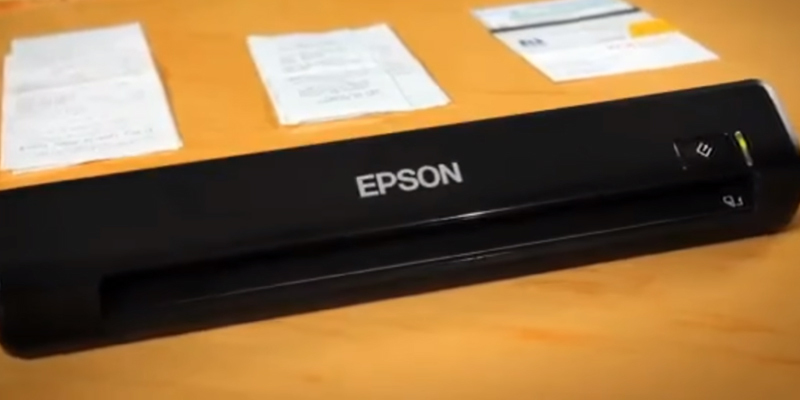 The Epson Scan driver can determine and level up the size of a document automatically, increase the font, and accomplish many other tasks while scanning, making it an excellent device for any user regardless of his computer prowess. The device only supports a USB connection. The Epson WorkForce DS-30 is a reliable device for home use, office, or any other public institution. Thanks to its compact size, you can take it on your business trip or to any meeting. Plus, it comes with a protective bag for safer transportation. Would you like to have a full value scanner that would be ten times smaller than a stationary model? 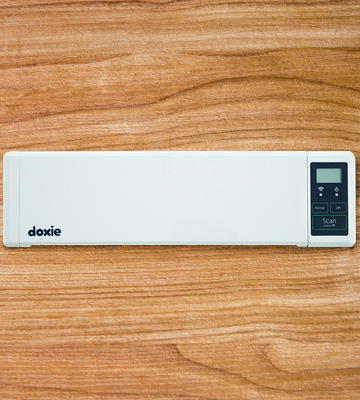 If your answer is "absolutely", then we would like to introduce the Doxie DX300 to you. 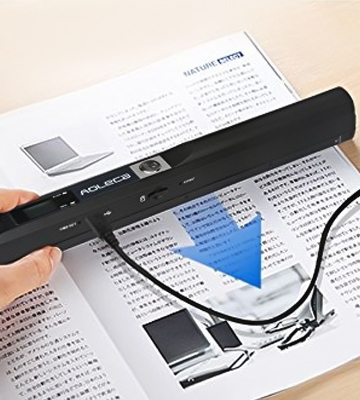 There are many reasons for this portable scanner to be on our top list. For starters, this model is computer-free, so you can scan from anywhere and anytime without having to deal with messy wires. 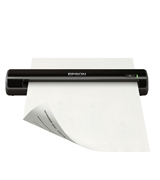 The scanner runs on a rechargeable battery that will scan up to 1000 sheets on a single charge. 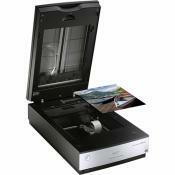 It also features a collapsible automatic document feeder that scans up to 8 sheets of plain paper and 3 - 4 photos of thicker paper used for resumes, for example. As for the resolution, you have two options here. You can either set your device to scan at 300 dpi or 600 dpi. The scanning speed is also quite high, and it will only take you 7.5 seconds to scan one page at 300 dpi. And in case none of your smart devices are at your hand, feel free to save them on an SD card. 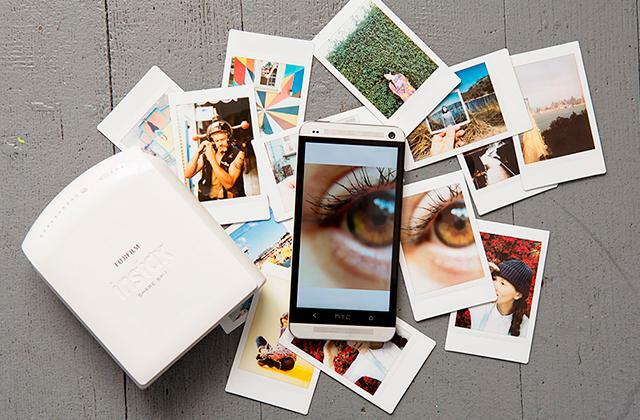 With 8 GB capacity, it will store up to 4000 scans for you. 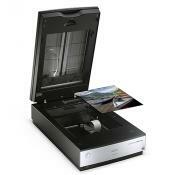 As for the design, this portable document and photo scanner is lean and mean. It is compact enough to fit almost any briefcase and has a protective case for safe-keeping and carrying. The control panel is as simple as its appearance yet has everything you might need for work. Without a doubt, buying a portable scanner, customers expect it to produce high-quality scanning and be convenient to operate. The availability of Wi-Fi connection, storage on different sources, and intuitive control are the kind of options that may easily sway anyone's opinion towards a more positive one. As for the Doxie DX300, it offers you quite a lot of useful options that make the use that much more pleasant. Let's start with compatibility. 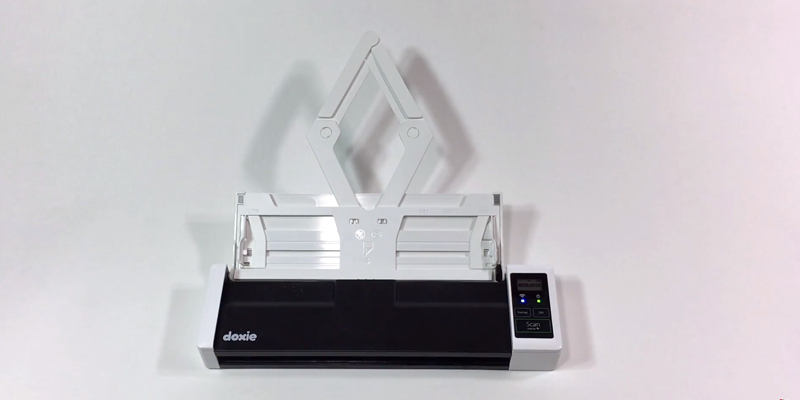 The Doxie scanner will connect to any PC or a smart device that runs on Windows 7/Mac OS 10.7/ iOS 9 and later versions. You can sync to your device wirelessly anywhere and anytime when you need to digitise an important document or a delightful recipe. Save your files in JPEG, PNG, or multi-page PDF files. Once you install the special Doxi App for your gadget, you won't have to worry about your files organisation and optimisation since the app will do it for you. Also, you can upload your scans to the iCloud Drive, Evernote, Dropbox, or OneNote with a single click and have them always at hand. All in all, having a high-class portable scanner at hand is always a plus since when you need to save a document on the go, all you have to do to digitise it is just take your scanner out of your briefcase, turn it on, and scan. To sum it up, lightweight, ergonomic, effortless and extremely efficient to operate, the Doxie DX300 is a very good value for your money. Fujitsu iX100 portable scanner combines all the main benefits you can get from a device of this type, which is exactly why we strongly believe it to be the best in this class. You can scan documents, photos, images with the same top-notch quality and send them immediately to your PC or laptop, as well as tablet and even smartphone. 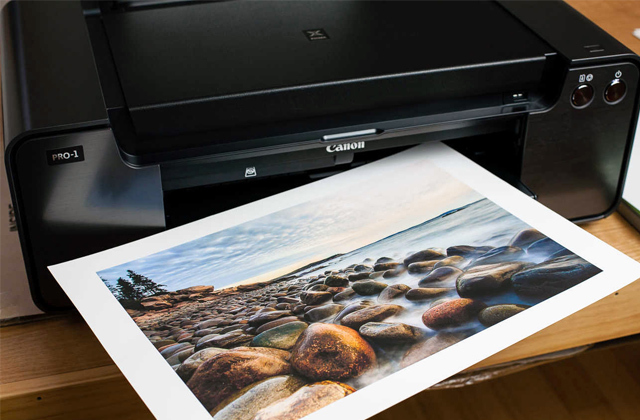 All you need is an available Wi-Fi connection and a ScanSnap app to further process the files and send them to print right then and there. 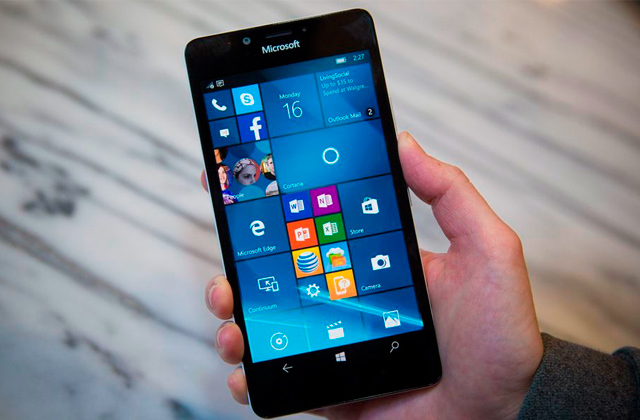 The said app works equally well with Windows and Mac, Android and iOS, therefore, whether you are a Microsoft person or an Apple one, there are no limitations for you here. 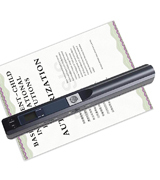 In order to make the use even more convenient and hassle-free, the manufacturer has made this portable scanner capable of recognising the size of the document automatically and display a cropped image respectively. If you are searching for a device that will scan almost anything for you, take a closer look at Fujitsu, because it enables you to scan almost any sheet of paper up to A3 size. In case you decide to scan photos or recipes, load two at a time to make it faster. The scan speed is also pretty impressive. 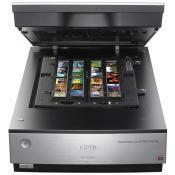 The iX100 will scan an A4 document in no more than 5 seconds. 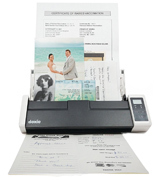 This compact scanner allows you to save your scans in PDF or JPEG formats. And, in case you are going to edit your documents in the future, saving them in Excel or Word is also an option. Like many other models, this compact scanner allows you to store all your projects in the Cloud. Also, on the back of GoogleDocs, Evernote, and DropBox, you can save and review a scanned article, as well as important information for your business meeting on Salesforce CRM and SharePoint Online. Though the latter option is for Windows OS only. CardMinder is another software that we have found pretty helpful, especially when it comes to business contacts. So, every time you need to save some personal information from a business card, you can simply scan it and export to Excel, Address Book, or SalesForce. The information is automatically placed in editable fields where you can change or save it for the future. By the way, scanning a foreign language card is not a problem at all thanks to the device's ability to recognise up to 8 different languages. Overall, talking about the best portable document scanner models, the Fujitsu iX100 has rightly taken its place. 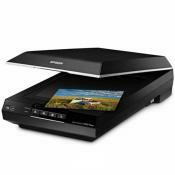 Reliable and efficient, this scanner makes office and academic tasks an absolute walk in the park. If you are looking for a mobile scanner that can scan almost any document for you, we recommend you pay attention to the Veama Aoleca. It might seem simple at first glance, yet this little device will accomplish most of your academic or office tasks. Being quite compact and lightweight (only 148 grams), this device is convenient to use on the go, since wherever you are, your handheld scanner will be there to do the job. Talking about scanning, we can't avoid mentioning that this model will scan a book, a magazine, or any other document for you in the size up to A4 in one of the listed resolutions: 300, 600, or 900 dpi. You can save your document in JPEG or PDF on a Micro SD card or your PC via a USB cable that comes in the box. This Veama model comes with 8 GB MicroSD card that will store about 4000 scans for you, depending on their size, of course. 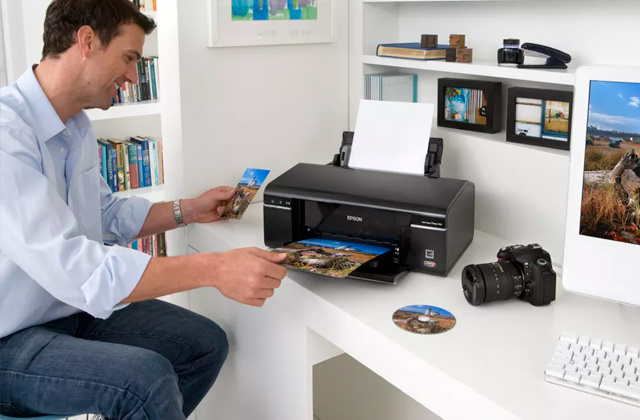 However, if you often scan on the go when your computer is not at hand, and you need more space, you can always opt for a more spacious card since this model supports them up to 32 GB. As for the computer connection, the Aoleca is compatible with all Windows versions starting from XP and Mac 10.4 or higher. 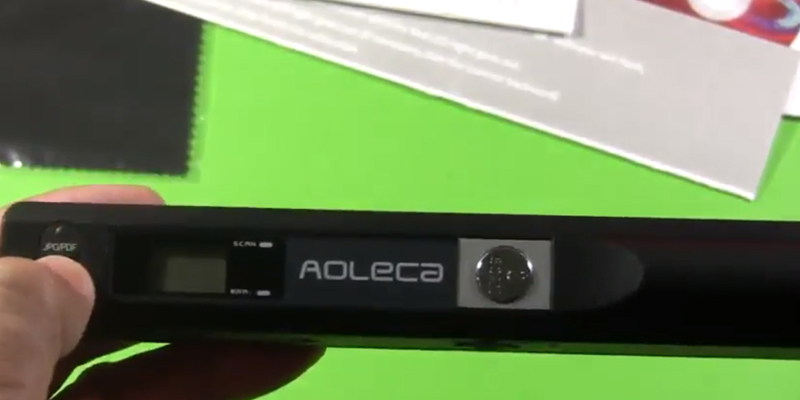 As for the software, the manufacturer has equipped the Aoleca with a CD with an Optical Character Recognition (OCR) program that allows you to convert and edit all your scans after successfully digitising them. One of the most important goals the manufacturers set for themselves was to design an affordable and convenient device, and, taking a closer look at this model, it seems like they have been able to do a commendable job. For starters, since this is a handheld scanner, they have designed it with a small wheel on its base. This grants smoother and faster scanning. More specifically, it will take you only 3 seconds to scan an A4 document in 300 dpi resolution. This scanner is also simple to set up. There are two buttons for resolution and format settings, an LCD display, and a time set button for more convenient operation. Like all portable scanners, this one is powered by batteries. However, this specific model requires two AA types. It might seem an issue at first, but if you always have a few spare batteries in your bag, the Aoleca will be ready to scan 24/7. Besides, the engineers at the company have equipped it with an auto power-off function that switches the scanner off after 3 minutes of idleness, thus saving the charge. 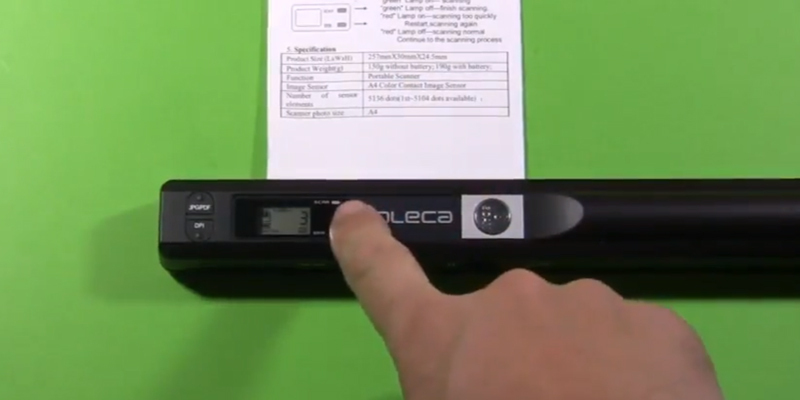 In other words, the Veama Aoleca is one of the best handheld portable scanner devices available on the market today. It is low-priced, has quick response of a sensor and a very intuitive control. Would you like to have a portable scanner that will digitise any image, document, or text in the highest resolution and in the shortest amount of time? If you are searching for such a device, this might be the one worth looking for. The Flagpower FPS-100 is a pretty popular model and there are quite a few reasons for that. Like many portable scanners, this one allows for wireless data transfer. Once you connect to a new Wi-Fi network, the model remembers the name and the password, so you won't have to search for it or enter the passcode every time you want to use it. So whether you want to save your scans in the cloud or send them by email, one way or the other, scanning will be simpler than ever. In case you need to store the files on your PC, there is an option of using a high-speed USB cable that comes in the box. The scanner is compatible with any Windows OS from XP, Mac 10.4 and above, Apple, and Android smart devices. So you are not limited to a computer connection only. Besides, this scanner supports MicroSD cards up to 32 GB and is already equipped with a 16 GB one that will give you lots of storage space. In terms of scanning, we have found the options more than attractive though. 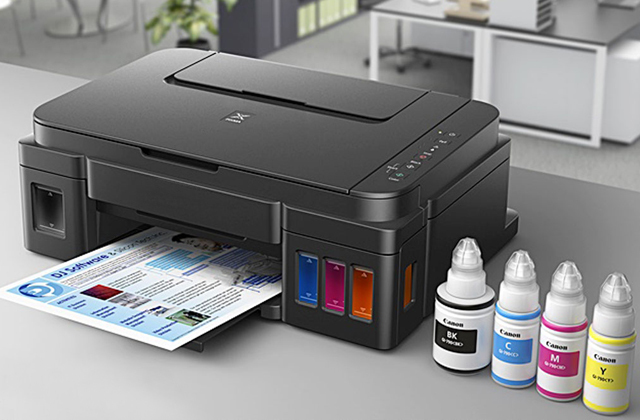 The FPS-100 offers you to scan in 300 dpi, 600 dpi, or 1050 dpi quickly. The scan speed in the highest resolution in colour is only 12 seconds, which is quite impressive for a handheld device. To improve scanning and make it more steady, the manufacturers have equipped this Flagpower with a double roller. On the back of high-class scanning options, the manufacturer has done their best to improve the control of this device. Take a colour LCD HD display, for example. It allows you not only to set up the scanner conveniently but also playback scans and check their quality so that you could rescan them if needed. The Flagpower FPS-100 is powered by a 700 mAH Lithium-Polymer battery. Its charge will be enough for average scanning on the go or when you are on a trip and want to digitise some interesting or important information. Besides, it recharges fairly quickly, so having a laptop or a computer and a USB cable at hand, you will be able to scan even with a low battery. Without a doubt, when it comes to convenience and efficient operation, we want to get the device that will improve our job without causing any troubles. Suffice it to say, this portable scanner is one of such devices. Scan any documents, magazines, or even books wherever you are, send them to the Cloud, store on MicroSD or on your PC, and do so putting in next to no effort since, with Flagpower, scanning is simpler than ever. It doesn't matter whether you are looking for your first scanner or you are already a professional user, with Epson, scanning is always effortless. The Epson WorkForce DS-30 will be a great supporting device for any businessman not only because the model is efficient to use in terms of digitising paper information in high quality, but it also stands out with its comprehensive controls and intuitive operation. To put it in simpler terms, even if you are new to scanning, you will not find this model confusing at all. This model is powered by a Hi-Speed USB cable. It might seem inconvenient since it doesn't scan wirelessly, but actually, a cable connection isn't as distressing as you might reckon. Just think, your machine is always working when you need it and the thing produces nothing but high-quality scans. Its compact size and lightweight (only 325 grams) design allow you to carry your scanner with you to a business trip or a meeting and be ready to scan a business card of your partner or a signed form anytime. Starting work is also not a problem since the DS-30 portable scanner is compatible with most operational systems: Windows XP and higher and Mac OS 10.4+ and above. Basically, you just need to take Epson out of the box, link it to your laptop, choose required settings, and scan. As for the scanning options, you can digitise a document at 300 dpi or 600 dpi in 12 seconds per A4 page mono or colour. What we liked the most about this model is its software. 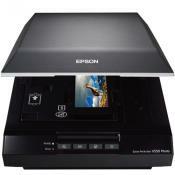 Epson comes with a Software CD with ABBYY FineReader 9 Sprint Plus and NewSoft Presto! BizCard 5.6 and lets you download and install the Epson’s Document Capture Pro for free. With these programs, you get a lot of useful scanning and editing options. Using these options, your scanner will detect the size of a page automatically, enhance a text, secure your PDF file, or rotate a digitised image automatically. It will also scan and import information from a business card to an Address Book so that you could review or edit it in the future. At the same time, the Document Capture Pro lets you scan to the Cloud, to email, or to the SharePoint that promotes and speeds up your work. Also, Epson will seamlessly convert all your scanned documents not only to PDF or JPEG formats but also to Docs, Pptx, Xlsx, so that you could edit them afterward. 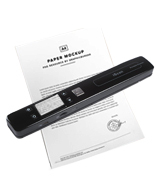 Overall, talking about the WorkForce DS-30, we believe it is a pretty simple portable document scanner. However, the device offers many useful options in addition to high-quality scanning, as well as reliable and intuitive control. Without a doubt, this model is a worthy investment that can noticeably improve your work. As the name suggests, portable scanners are just scanners but lighter and less bulky than your average document or flatbed scanners so that you could bring one wherever you need documents or photos scanned. Portable scanners gained popularity among business people, lecturers, teachers, and students—generally speaking, among those dealing with a lot of documentation on a relatively regular basis. Some of them support wireless operation, enabling you to scan right from your smartphone or tablet, email scans to your business partner, or store them in the Cloud. Some models are powered by USB cables only, while the others are designed with built-in batteries thus allowing you to scan anywhere you'd like to. The market offers quite a selection of portable scanners, and that might seem a bit confusing, especially for a novice user. Which is exactly why we have selected 5 of the best compact scanners that we consider to be worthy of your attention at different price levels and hope you will find the best model for your specific needs. 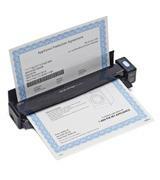 Probably the most important question to answer when selecting a portable scanner is what kinds of documents you are going to scan. Talking about portable scanners and principle of their operation, we can mark out two most popular types: handheld scanners and sheetfed ones. The latter type is quite compact and scans a document by passing it across the imaging sensor. 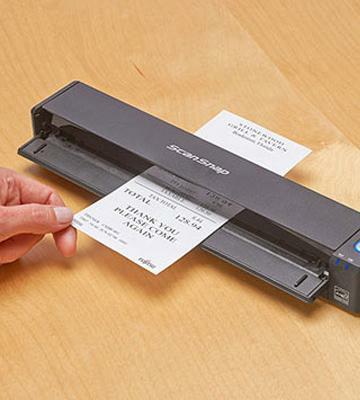 That is to say, you only need to feed a sheet of paper into a scanner. Take note though, you can’t scan books or magazines with such a model. So if your scanning needs aren’t limited to one-sheet documents, photos, or recipes, you will have to opt for a handheld model. In contrast to the previous one, handheld scanners are manual devices. Their image sensor is located on the base of the machine, enabling you to move it by hand over a document. 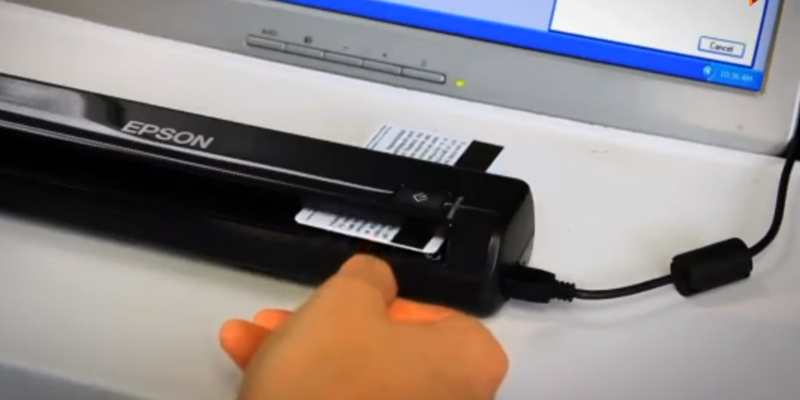 Therefore, you can scan any text you need to, including books, booklets, etc. Once you have decided on the type of scanning, it's time to access the program. Many models require special software that usually comes with the package. They offer you Wi-Fi or USB connection or support both. They allow you to scan directly to the cloud, email your scans, or scan a business card and export it to the Address Book within seconds. On the back of PDF and JPEG scanning, many portable document scanners will save your projects in Word or Excel so that you could edit them afterward. Some models let you control them wirelessly via your smartphone or tablet, which is very convenient when your computer is not at hand. It also won’t be a waste to check on the possible resolutions of scanning. Generally speaking, all models will scan at 300 dpi and 600 dpi. However, there are some that support scanning at 900 dpi or even at 1050 dpi, which is quite handy as far as scanning photos goes, for example. As for usability, you should pay attention as to whether the device incorporates a display. Many models are designed with an LCD screen that helps you not only set up your scanner in a simpler and quicker way but also display an image of your scan and check it to make sure there is no need to rescan it. You should also pay attention to the type of power supply. Almost all models are powered by batteries, the types of which vary depending on the model. Of course, rechargeable and replaceable batteries are the best choice. They charge quickly, can be used when connected to a PC, are affordable and easy to replace. Besides, you can always take a spare charged battery with you, in case you’ll need it. Since you will likely take your portable scanner with you on a semi-regular basis, its dimensions and weight are essential. As a rule, both handheld and sheetfed scanners weigh less than half a kilo, yet there are some machines that measure at no more than 200 grams. Dimensions are also important. Most models are quite compact, so you can carry them in a pocket of your laptop bag. A bit bigger models are also convenient to transport, though they will need a larger bag. 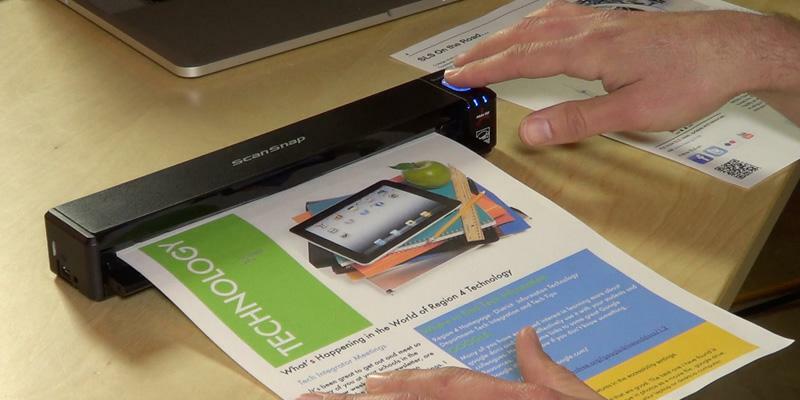 All in all, selecting a portable scanner might seem like a tricky task, but once you decide on your printing needs, picking the right model won’t be a problem. Without a doubt, most of us have old photos from our childhood or our parents’. It doesn’t matter whether there are just a few photos or a pile of them, they are significant and important memories. Unfortunately, photos can fade, get damaged or lost with time. Here is where a scanner comes in handy. Indeed, digitising old photos may solve many problems. Besides, not only can you store them on your PC and memory card, but you can also post them on Facebook or any other social network. You can also create collages or make Christmas postcards, for instance. In any case, you have lots of options. In order to help you make image scanning a bit simpler, we have gathered some practical information and hope it will be useful for you. Before you start scanning, it is better to go through the whole photo collection. Wipe your photos up with a dry cloth to remove dust and check them for bends. You can also gather photographs into groups, sorting them by dates or events. Creating folders on your desktop with distinctive names for every group won’t be a waste either. So, you can scan images in clusters (weddings, birthdays, etc) and save them in the respective folder. Doing so, you won’t need to sort out photos afterward and that might save you a lot of time. Now, when all photos are prepared and you are ready to begin, go to scanner settings. We recommend you to disable auto mode and scan in a TIF or JPEG format. The former one is used for images with many different colours and lets you save several images into one file. Besides, compression of TIF images is possible without any loss in its quality. JPEG format supports 24-bit colour depth that makes it ideal for photos. You can also compress JPEG images, though you should take into account that the quality may decrease if compressed too much. In case you need to crop an image, select RAW format. It contains the highest quantity of data and can explore every detail that you can’t observe in the original. Resolution is measured in dots-per-inch (dpi) and determines the quality of an image. That is to say, when you select low resolution, your scanner may not capture all the details as well as it will do at higher resolutions. The size of an image will also vary with dpi settings. The greater resolution is, the larger an image will be. So, in case you want your image to be small, it is better to select the correct resolution. That is to say, if you set up your machine to a very high dpi but save an image as a small one, the quality of a picture will be poor. Also, we don’t recommend you to choose the resolution according to the time of scanning. 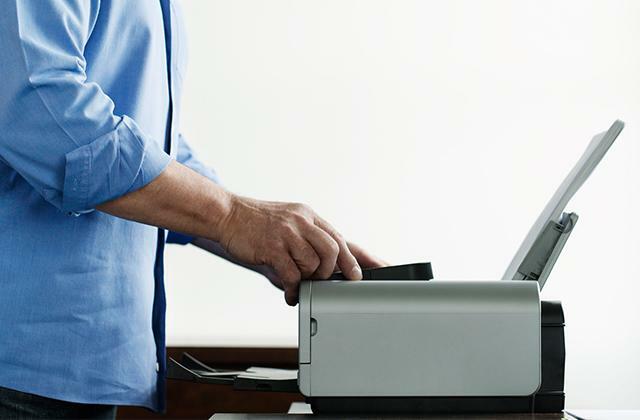 Most portable document and photo scanners need about 5 seconds to scan at 300 dpi, and the greater this setting is, the more time a scanner needs. Of course, for most photos, 300 dpi will be enough to get an image with good quality. However, we wouldn't advise wasting time trying to reduce the image quality. 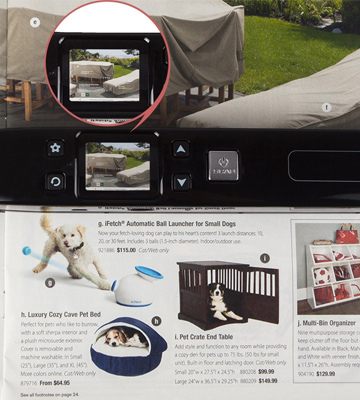 Using a portable scanner, try to scan several photos at a time instead of reducing the dpi level; this will help you kill two birds with one stone. 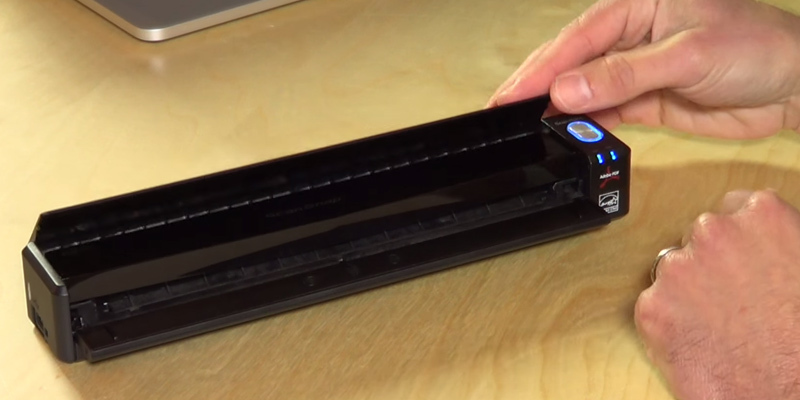 Q: How to clean a handheld scanner? A: Handheld portable scanners require regular maintenance because of an open construction (the sensor is located at the base of a scanner). The good news is that cleaning such a model is incredibly easy. You can use a slightly moisturised cloth to wipe the housing of your machine. 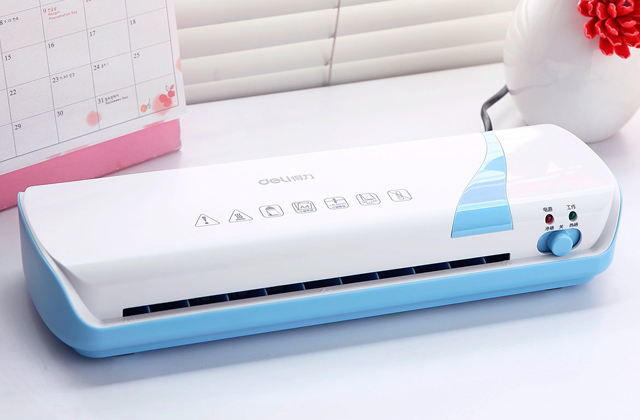 As for the scanner glass, it is better to use a microfiber cloth or any other soft fabric to remove dust. You can also use a little bit of glass cleaner if there are some stains on it. However, don’t use cleaning agents that contain ammonia, acetone, benzene, or carbon tetrachloride, since they will damage the glass. Then, clean the glass with a dry cloth. Q: How should I clean a sheetfed scanner? A: Well, cleaning sheetfed scanners might take a bit more time compared to handheld machine maintenance. As for the housing of the scanner, use a moisturised fabric the same way you would with handheld devices. But cleaning a scanner glass will be a bit trickier since the sensors are located inside a scanner. So, here's what you will need to do: for starters, you will have to acquire a scanner cleaning sheet; you can purchase it from the manufacturer or a distributor. When you've got everything you need, turn on the cleaning mode. 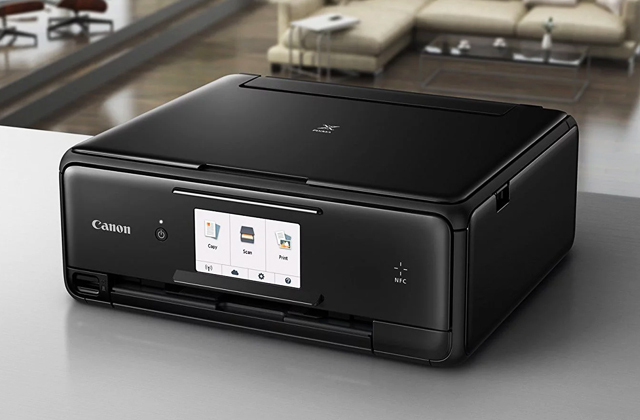 You will find it in the scanner properties: select the menu, devices and printers, click on a scanner icon, and scan properties. The cleaning mode is in advanced features. Just insert the cleaning paper into your scanner and press the Clean button. You can also spray some alcohol or a special cleaning detergent on the paper to make cleaning more effective. 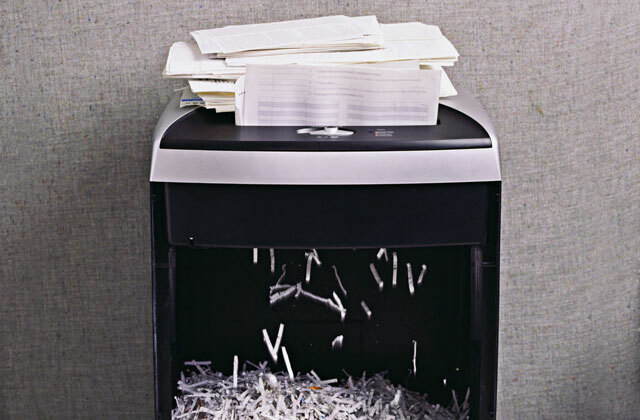 Q: How many documents can a scanner handle on a single charge? 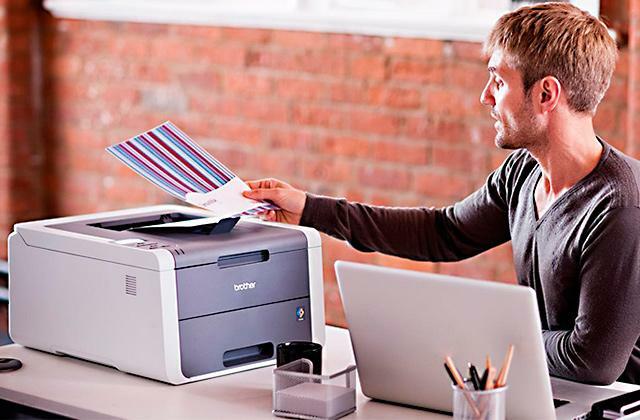 A: To be honest, that depends on the model of your scanner, the capacity of its battery, and your printing needs. Without a doubt, if you have to scan a lot of documents on a regular basis, you will need to charge the battery more often, compared to occasional scanning when the battery discharges more slowly. So, selecting a portable scanner, you should pay attention to the type of the battery. 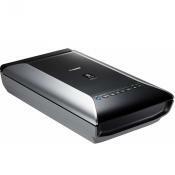 Besides, you can opt for a scanner powered by a replaceable battery. Hence you can carry a spare one in your bag, just in case the charge of the installed battery won’t be enough for your task. Q: Can I scan documents that are longer than a standard A4 sheet of paper? A: Yes, both handheld and sheetfed scanners can scan a bit longer sheets, but not wider, of course. Actually, thanks to such an option that these two types of scanners support, they are much more pleasant to use, since more often than not you won’t be able to scan longer A4 sheets on a flatbed scanner. You will have to crop them, scan part by part, and gather them after the whole process is done. 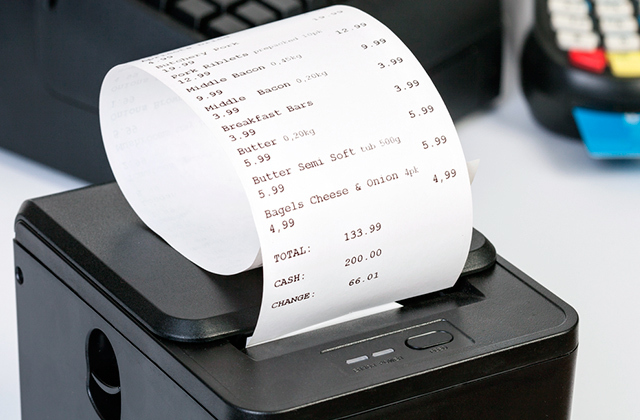 With sheetfed and handheld types, you will scan such a document in one go. After that, It will be transferred to PDF or JPEG with no loss in quality. Handy, isn’t it? 2. Elizabeth Mott Magic Wand Portable Scanner Instructions, Small Business. 6. Sean Frey Magic Wand Portable Scanner, Cool Tools. November 12, 2013. 7. Jill Duffy Get Organized: Scan Your Old Photos, PCMag.com. January 13, 2014. 8. Stephanie Watson and Kate Kershner 10 Tips for Scanning Old Photos, HowStuffWorks.